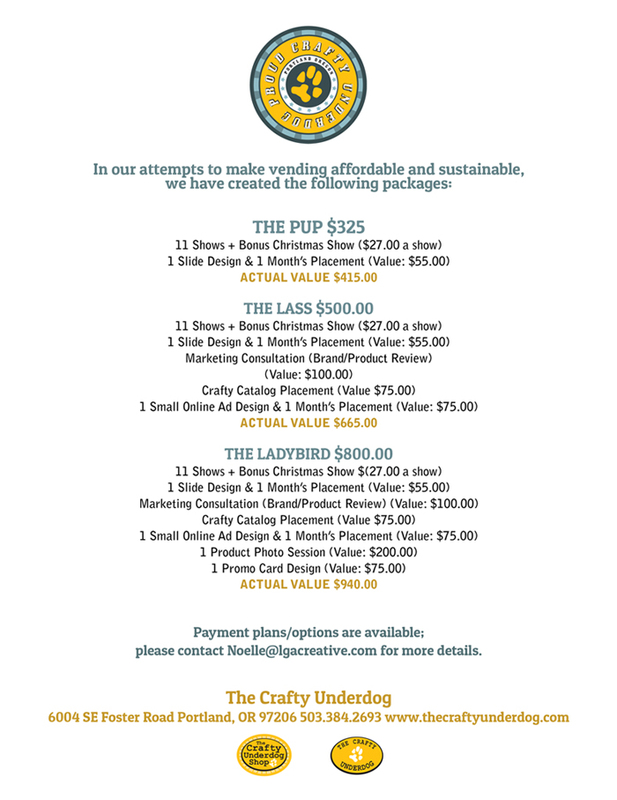 The Underdog Membership is our plan to make vending affordable and sustainable for everyone. The following packages are intended to provide you with the tools and resources necessary to thrive in your marketplace. Whether it’s exposure online, in person, or in print, we are dedicated to your success. Payment plans/options are available; please contact Noelle@lgacreative.com for more details. If you have any questions, please do not hesitate to contact us. We love to hear from you!